Relatively inconspicuous is the original 13th-century cathedral, constructed after the conquest of Cordoba by King Ferdinand nearly 800 years ago, when the site was re-consecrated Christian. It occupies what used to be part of the Al-Hakam II section, along the west wall. 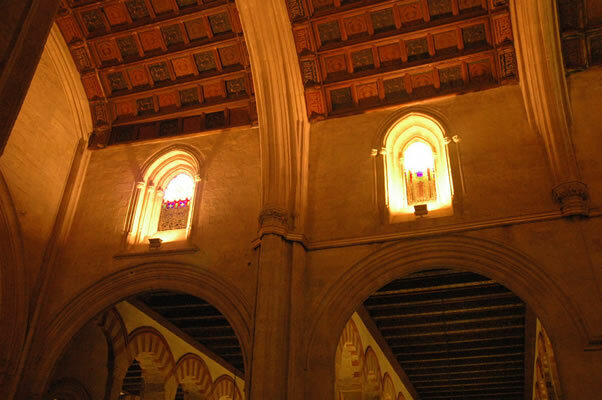 In the 16th century, the bishop preferred to move the cathedral to the center of the former mosque and enclose a choir area. Numerous tombs lie in the floor of the original cathedral.